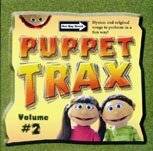 This CD was published with puppets in mind. Soundtracks are included for most. They feature a lead singer with two or three backup singers.